We all know that Julia Louis-Dreyfus and her HBO series, Veep, are comedy gold. But just because it’s a great show doesn’t mean that it’s guaranteed to sweep the Emmy awards. Especially with so much formidable competition at this year’s show, like Donald Glover’s Atlanta and Aziz Ansari and Lena Waithe’s Master of None. This time around, Louis-Dreyfus was all but convinced she wouldn’t be leaving with the Emmy for Lead Actress in a Comedy Series. In fact, she thought that equally hilarious Tracee Ellis Ross, star of ABC’s Black-ish, was surely the one going home with the trophy. The Emmy win marks the sixth time that Louis-Dreyfus won for Lead Actress. At eight awards, she’s tied with Cloris Leachman for most overall Emmy wins. Leachman has taken home Emmys for her roles in The Mary Tyler Moore Show, Malcolm in the Middle, and Raising Hope. 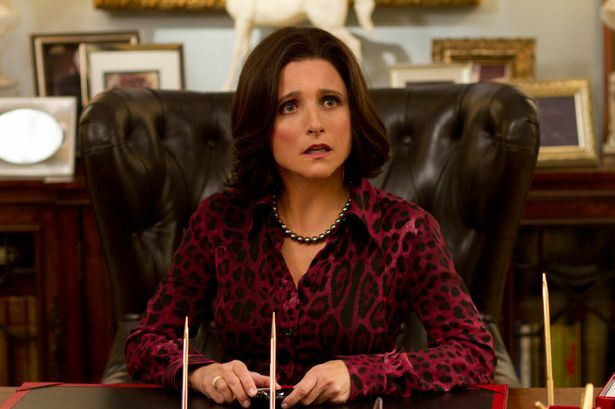 The win is especially poignant for Louis-Dreyfus, given that Veep will end its run after next season. The decision was an extremely tough one to make, she told EW. We’ll take as much Veep as we can get. Selina Meyer for president! Continuity with change!